The Taiwanese manufacturer HTC has got a big blow yet again after seeing its sales getting low already, as a London Court has ordered to ban the sales of the HTC One Mini smartphone in the UK markets. According to the court, the HTC One Mini and the HTC One were infringing Nokia’s European Patent number 0998024. The court decided against HTC’s wish of getting an injunction and the ruling with financial damages to pay Nokia. The court has ordered HTC to stop the sales of the HTC One Mini (we wonder whether that would really matter with the pitiful number of sales this device is making) in the UK but it hasn’t decided about the HTC One already, and thus the sales would be allowed until the result of the appeal from HTC comes out. HTC launched its One Mini phone in August 2013. This phone contains a Qualcomm WTR1605L chip and a Broadcom BCM4334 chip. 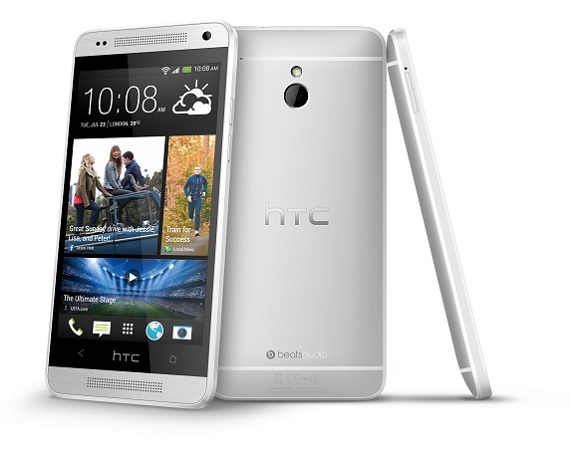 HTC has revealed that the decision to include the Broadcom BCM-4334 chip in this phone was taken on 2 January 2013 (i.e. about eight months after Nokia started the German proceedings). For the HTC One Mini users who already purchased one in the UK will be still be able to get the service from the HTC service centers, but the sales are going to stop from December 6th. The HTC One sales too would follow very soon.